Born September 9, 1930, in La Grange, North Carolina, Frank Lucas moved to Harlem in 1946 where he entered the world of street crime. By the 1960s, he had constructed an international drug empire that spanned from New York to South East Asia. Killings, extortion, and bribery were his modus operandi. Lucas had millions in cash and property in several cities when he was busted in 1975. Lucas&apos; wife is former Puerto Rican homecoming queen Julianna Farrait. She spent five years in prison for participating in her husband&apos;s drug enterprise. Once Farrait got out of prison, the couple lived a part for many years but got back together in 2006. In 2010 she was arrested once again for trying to sell drugs — this time in her native Puerto Rico. She was given five years of jail time. Among his seven children, Lucas&apos; daughter, Francine Lucas-Sinclair, launched the service Yellow Brick Roads, a safe haven for children of incarcerated parents. In his prime, Lucas had an estimated net worth of $52 million. Who Was Frank Lucas&apos; Mentor? Lucas&apos; mentor was Harlem gangster Ellsworth "Bumpy" Johnson. There is some disagreement over how close Lucas was to Johnson. Lucas claims Johnson took him under his wing, and eventually became Bumpy&apos;s "right-hand-man." Others close to Johnson, including his widow, Mayme, testify that Johnson distrusted Lucas and never made him more than a flunky. 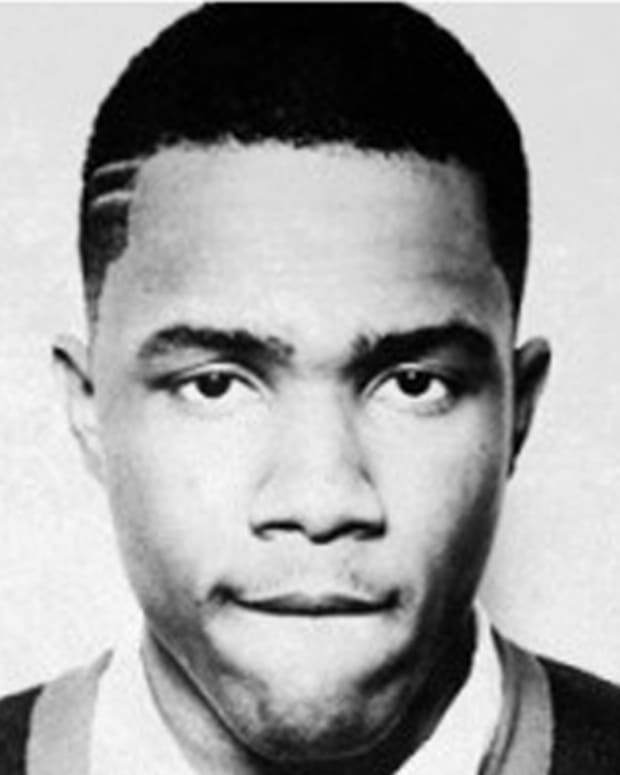 Frank Lucas arrived in Harlem in the summer of 1946. People told him to be smart and get a decent job as an elevator operator or door man at a hotel. But Lucas saw how real money was made on the streets, through illegal gambling and drugs. With each ensuing crime, he became more bold and ruthless. He first robbed a local bar at gunpoint. Then he stole a tray of diamonds from a jewelry store, breaking a guard&apos;s jaw with a slug from his brass knuckles. Feeling confident, he brazenly broke into a high-stakes crap game at a local club and robbed all the players. Then, in the summer of 1966, on a crowded sidewalk, Lucas shot a local thug who reneged on a dope deal. His efforts caught the eye of Ellsworth "Bumpy" Johnson, a long-time Harlem gangster who controlled gambling and extortion operations. 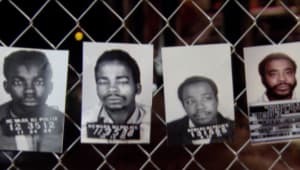 Frank Lucas learned well from Johnson, but took his teachings to a whole new level, developing one of the most lucrative crime organizations of the 20th century. Johnson died in 1968, leaving the control of Harlem up for grabs. Lucas took the opportunity to seize as much territory as he could. Frank Lucas wanted to be rich — what he called "Donald Trump rich." He not only believed he could make it big in the drug world, he also understood how to do it. He started with the planning. He called it "backtracking." He would hole himself up in a hotel room, away from any distractions, for a month or two at a time. He would look back on all his past experiences and what he&apos;d learned. Then he&apos;d look forward to the future including every possible detail and the detail of the details, making sure he mentally walked through every step of the operation. Frank Lucas realized that to take over Johnson&apos;s operation he needed to break the monopoly of the Italian Mafia. His idea was to bypass the Mafia&apos;s heroin trade in Harlem, and go directly to the source of the drug. By 1968, the Vietnam War had been raging for several years. It was common knowledge that U.S service personnel had been exposed to many different illegal drugs, including heroin. When they came back to the States with their addictions, they sought out new sources. 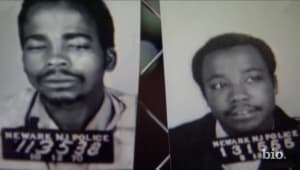 By the late 1960s and early 1970s, dope was rampant in most large American cities, with "brand names" like "Mean Machine," "Can&apos;t Get Enough of that Funky Stuff," and "Harlem Hijack." Lucas knew he could meet this demand and make a hefty profit if he could get the drugs directly from the source. He decided to travel to Southeast Asia. Frank Lucas had what is called an "expectation of invincibility." He really thought nothing of getting on a plane by himself and traveling half way around the world to Thailand. He knew little about the country, and didn&apos;t speak the language. Yet, he was engaging in one of the most deadly occupations imaginable — international drug trafficking. On his arrival in Bangkok in 1968, Lucas checked into the Dusit Thani Hotel. There he met Leslie "Ike" Atkinson at Jack&apos;s American Bar, a rest and relaxation hangout for African-American soldiers. Atkinson ran the bar and was well connected with many U.S. Army soldiers in Southeast Asia, often supplying them with drugs on demand. Atkinson also hailed from Greensboro, North Carolina, and had married one of Lucas&apos; cousins. Thus, Lucas initiated the policy of only hiring relatives or close friends. Atkinson agreed to supply Lucas with the heroin, but Lucas wanted to see the operations for himself. The two men traveled for nearly two weeks through the jungles of Thailand until they located Atkinson&apos;s main connection and business partner, a Chinese-Thai gentleman named Luetchi Rubiwat. Rubiwat — also known by the code name "007" — controlled several hundred acres of poppy fields in the Golden Triangle, a dense jungle area on the borders of Thailand, Burma, and Laos. Next to the poppy fields were caves bored into the mountains, where the poppies were then processed into heroin. On Lucas&apos; first trip, he bought 132 kilos of high quality heroin for $4,200 per unit. In Harlem he would have paid $50,000 for a kilo from the Mafia. Lucas and Atkinson created an "army inside the Army" of draftees and enlisted men in order to set up the international distribution system. Key military personnel had to be "bought" into the system, including high-ranking officers, both American and South Vietnamese. Lucas used a combination of charm and pricey bribes to recruit his team. As he did with nearly all parts of his enterprise, Lucas would oversee the operations personally in Southeast Asia, sometimes disguising himself as an Army officer. The plan was to send shipments of heroin on military planes to military bases on the Eastern seaboard. From there, the packages would be sent to accomplices who unpacked the heroin and prepared it for sale. Hyperbole suggests that much of the dope was stuffed into the coffins of dead service men, or even stuffed into the cadavers. Lucas testified that he recruited a North Carolina carpenter and flew him to Bangkok to build over two dozen government-issued coffins with false bottoms, big enough to load in 6 to 8 kilos of heroin. But it has been reported that Atkinson only packed the smuggled heroin in furniture. In setting up his organization back in the States, Frank Lucas combined toughness with intelligence, being very careful to make sure every detail was covered. He contracted only trusted relatives and close friends from North Carolina; people like Leslie Atkinson. He believed they were less likely to steal from him and be tempted by the vices of the city. He recruited his five younger brothers, and moved them to New York. In the city, they became known as the "Country Boys," and they controlled the territory on 116th Street between 7th and 8th avenues in Harlem. Lucas approached marketing his product like any entrepreneur by offering value for the right price. Because he was getting nearly pure heroin directly from the source, he was able to "cut" the drug at a higher level—usually between 10 and 12 percent — when most street heroin was only about five to six percent. Lucas hired several young women to mix the imported heroin with mannite and quinine. To prevent theft, these women wore nothing but plastic gloves. To protect his investment, Lucas inflicted brutal violence against anyone who stood in his way, inflicting fear in adversaries and inspiring respect from friends and business partners. Just as Lucas had planned, the money came pouring in. He often bragged that he was making a million dollars a day. There often wasn&apos;t enough space to hide the cash, so he would launder the money, personally driving large bags of bills to a bank in the Bronx where the bankers would count it and exchange it for legitimate bills. Bank executives would later plead guilty to 200 misdemeanor violations of the Bank Secrecy Act. At the height of his career, he had over $52 million in various Cayman Island banks and 1,000 kilograms of heroin on hand worth $300,000 a kilo. To "hide" the exchanged money, Lucas bought into legitimate businesses — such as a string of dry cleaners and gas stations — in the hopes of avoiding detection. He also owned office buildings in Detroit, apartments in Los Angeles, Miami, and Puerto Rico, and a several thousand acre ranch called "Paradise Valley" in North Carolina where he had 300 head of Black Angus cattle and prize breeding bulls. Lucas also made the rounds in New York&apos;s celebrity circuit. He would often be seen at several of the hottest nightclubs in Manhattan, hobnobbing with famous athletes like Joe Louis and Muhammad Ali and entertainers like James Brown, Berry Gordy and Diana Ross. Lucas was slated to be in a Hollywood gangster movie entitled The Ripoff, set in the streets of New York City. He contributed nearly a $100,000 into the movie, and lent the production several of his exotic automobiles. However, the movie was never finished. He spent money freely, once buying a couple of $140,000 Van Cleef bracelets for both him and his wife, Julie. She bought him a $50,000 chinchilla coat and $10,000 hat to match. However, most times Lucas preferred to dress very casually, so as to not attract attention to himself. Just as Frank Lucas wouldn&apos;t have been successful obtaining and transporting the heroin from Southeast Asia without the support of corrupt military personnel, so too would he have been unable to sell the stuff on the streets of Harlem without dishonest cops. During the 1960s and 1970s, the New York Police Department&apos;s Special Investigations Unit (SIU) was hopelessly corrupt. It had city-wide jurisdiction and nearly unlimited authority. The unit had developed a cowboy-like mentality, breaking in and conducting warrantless searches of suspected drug dealers; creating illegal phone taps; using bribery; and controlling addicted informants with confiscated heroin. Several of the officers were "on the take" with local drug dealers to look the other way. 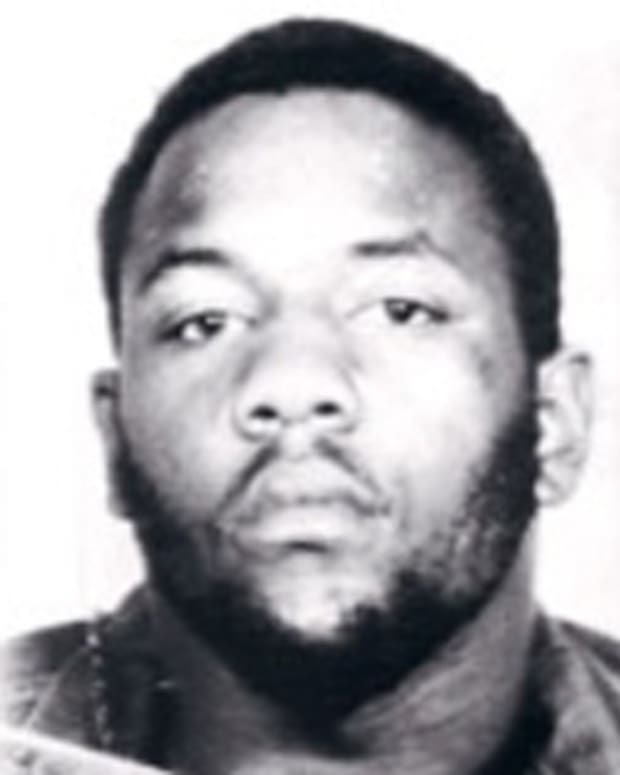 At one point, Frank Lucas was caught by the head of the SIU, Bob Leuci, with several kilograms of heroin and cocaine in the trunk of his car. According to Lucas, he was taken to the police station, where he had to negotiate his release with an offer of $30,000 and two "keys" of heroin. This was a common practice, and made many New York police officers participants in the crimes they were supposed to be stopping. In time, the police corruption made national news, and the Justice Department wanted it stopped. In 1971, officials in Essex County, New Jersey, formed an investigative narcotics unit called the Special Narcotics Task Force (SNTF), headed by then-assistant prosecutor Richard "Richie" Roberts. 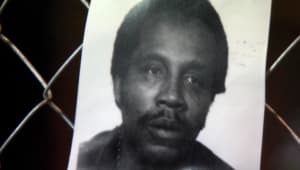 Serving as a detective in Essex County since 1963, Roberts was a former U.S. Marine and recent law school graduate from Seaton Hall University. He was very street-smart, and was known as a cop who did what he had to do to get the job done. Unlike some of his counterparts in the New York Police Department, Roberts was incorruptible. 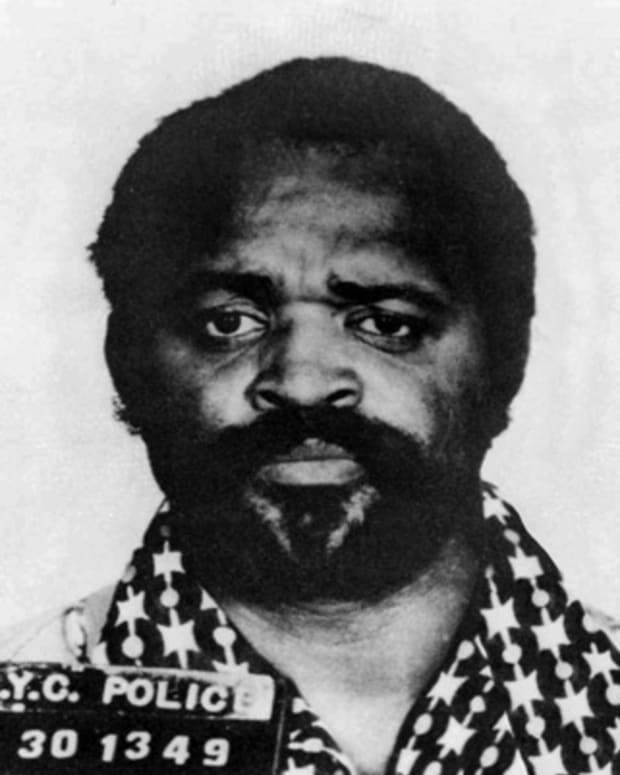 On January 28, 1975, after a lengthy investigation by the SNTF, a DEA strike-force staged a surprise raid on Frank Lucas&apos; house in the upscale neighborhood of Teaneck, New Jersey. In a panic, Lucas&apos; wife, Julie, threw several suitcases stuffed with cash out the window. All total, $584,000 was recovered — what Lucas referred to as "street money." Also found were keys to several Cayman Island safe-deposit boxes, property deeds, and a ticket to a United Nations ball, compliments of the ambassador of Honduras. In short order, 10 individuals were arrested, but none of them was Frank Lucas. As yet, there was no direct evidence tying Lucas to the drug operation. Then came a break. During the interrogation of suspects, Lucas&apos; nephew — one of the Country Boys — broke. He named names, showed investigators where buys were made, and identified public pay phones used to make drug deals. Assistant prosecutor Roberts used the evidence to charge 43 people, many in Lucas&apos; immediate family, with the crime of drug trafficking. Admittedly, Roberts had a weak case against Lucas, but with the corroboration of the co-defendants, he was able to put enough evidence together to go to trial. At the trial, several people testified about the devastating effects of heroin, particularly Lucas&apos; "Blue Magic" brand, which was far more potent than most heroin, and caused many deaths due to overdose. Roberts made the case against Lucas, declaring he had "killed more black people than the KKK with the sale of Blue Magic." The jury turned in a guilty verdict, and Lucas was sentenced to 70 years in prison. After a few short months, Lucas turned informant and gave names of Mafia accomplices and corrupt members of the New York Police Department. He even gave up Atkinson, who was his heroin connection in Thailand. 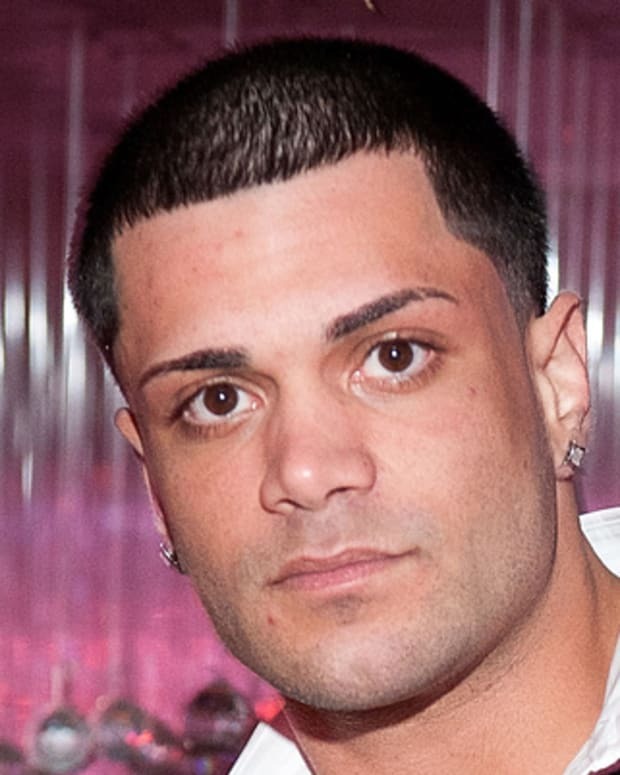 Lucas&apos; testimony resulted in 150 multi-defendant cases including three-quarters of New York&apos;s Drug Enforcement Agency and 30 members of his family. 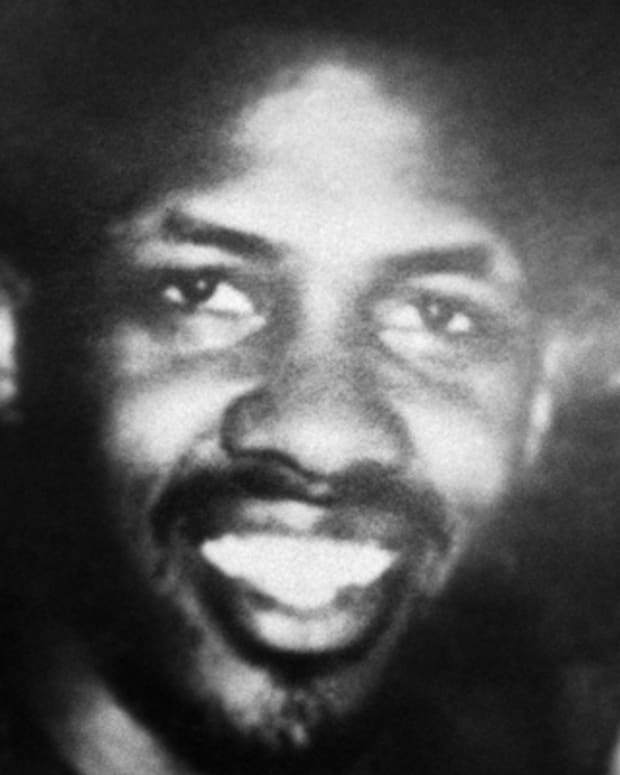 As a reward for his information, Lucas&apos; sentence was reduced to 15 years, and he was released in 1981. 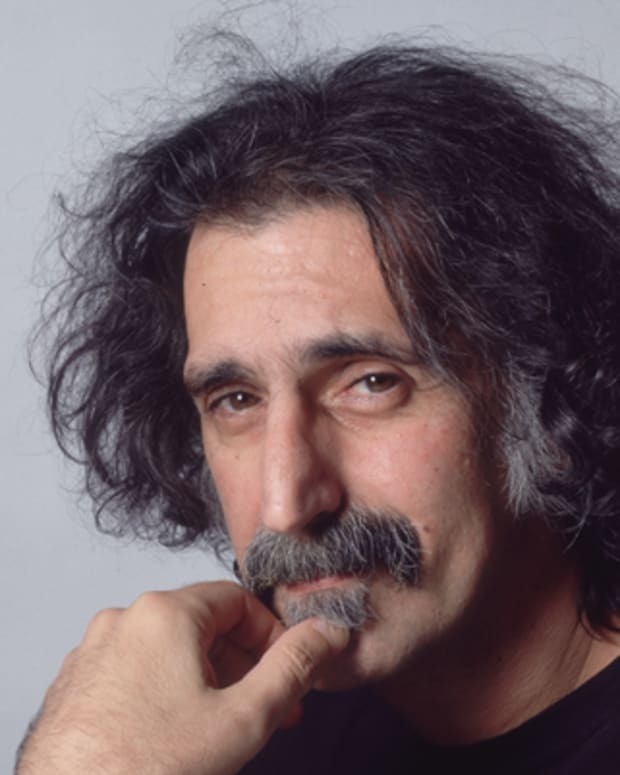 He was arrested again in 1984 for trying to exchange an ounce of heroin and $13,000 for a kilogram of cocaine. By this time, Richie Roberts had gone into private practice as a defense attorney and, upon hearing of his onetime nemesis&apos; arrest, contacted Lucas. Even though Lucas had once ordered a $100,000 contract on Roberts&apos; life during the first trial, he was willing to defend Lucas, who accepted. 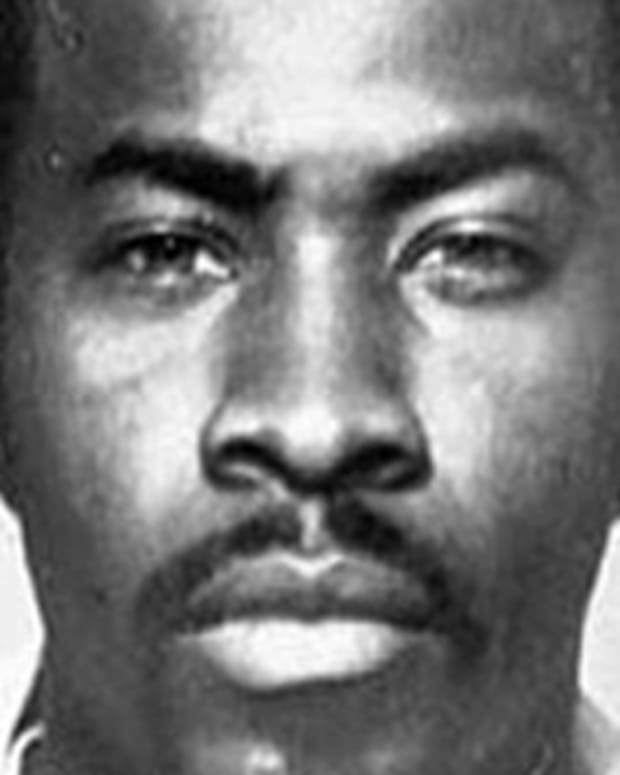 Largely through Roberts&apos; efforts, Lucas received a sentence of seven years; light for a man who had been convicted twice for a similar crime. When he was released from prison in 1991, Roberts contacted Lucas and again offered his help, this time to get his life straight. Lucas had developed a tepid relationship with Roberts during the post-trial investigation. Now the relationship strengthened as Roberts genuinely believed Lucas was remorseful. In the process, Roberts became the godfather of Lucas&apos; son. 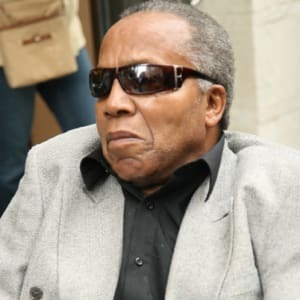 After his final prison release, Frank Lucas returned to a devastated Harlem to witness the poverty and squalor, caused in part by his drug business. For possibly the first time, he began to realize how destructive his enterprise had been to individuals and an entire community. Lucas repented, saying, "I did some terrible things... I&apos;m awfully sorry that I did them. I really am." As a result, he has spent much of his remaining life working to repair the damage he caused. 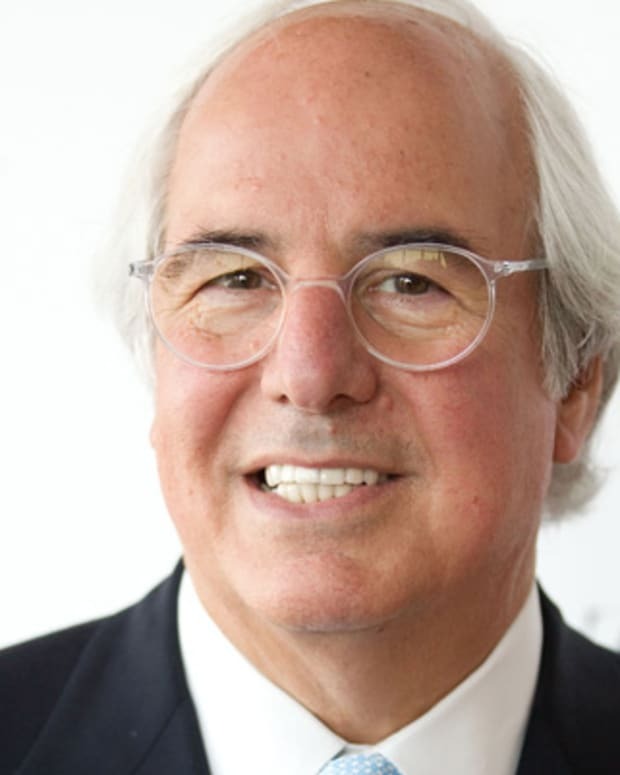 He joined efforts with his daughter&apos;s non-profit organization, Yellow Brick Roads, which provides a safe haven for children of incarcerated parents. 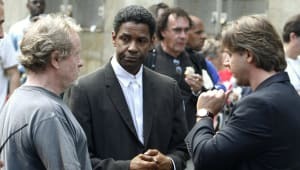 In 2007, Hollywood once again paid Lucas a visit, with the biopic American Gangster, starring Denzel Washington, which depicted his life of crime. 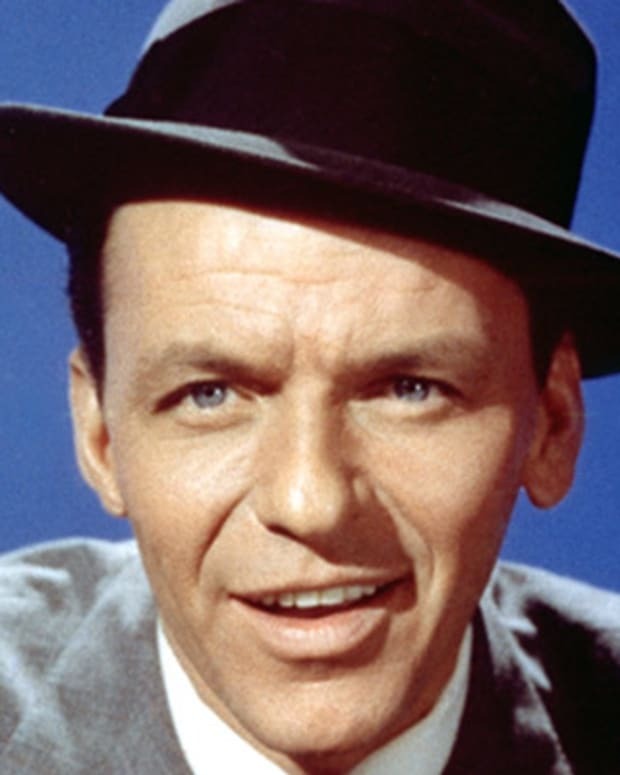 Born September 9, 1930, in La Grange, North Carolina, Frank Lucas was a country boy who grew up in Greensboro, North Carolina. 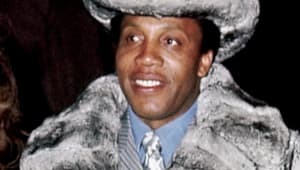 As with many larger-than-life personalities, the biography of Frank Lucas is shrouded in fact, mystery and myth, much of which has been perpetuated by Lucas himself. Lucas grew up in rural North Carolina during the depths of the Great Depression. 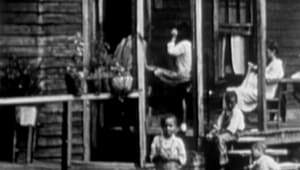 Many Americans in the rural South were poor at this time, but most African-Americans suffered the deepest poverty. Lucas spent much of his early youth looking after his younger siblings and getting into trouble. He has claimed that the one incident that sparked his life of crime was witnessing the murder of his cousin. He was only six years old when five members of the Ku Klux Klan, shrouded in sheets and hoods, showed up one night at the shack where he was living. The men killed Lucas&apos; 13-year-old cousin on the spot, claiming he had looked at a white woman in a flirtatious way. But, like much of the folklore surrounding Frank Lucas, investigators have never uncovered evidence to support his claim. As the oldest boy in the family, Lucas had to find ways for the family to survive. With the Depression raging on, it was difficult to obtain and hold a job, so he resorted to stealing food. Later, as he got older and stronger, he found some success mugging intoxicated customers outside the local tavern. In his later teen years, he got a job working as a truck driver for a pipe company until he was caught in the act of sleeping with the boss&apos; daughter. In the ensuing fight, Lucas hit the father on the head with a pipe, knocking him out cold. He then stole $400 from the company till and set the establishment on fire. Fearing he would be arrested and jailed for much of his life, his mother pleaded with him to flee to New York.